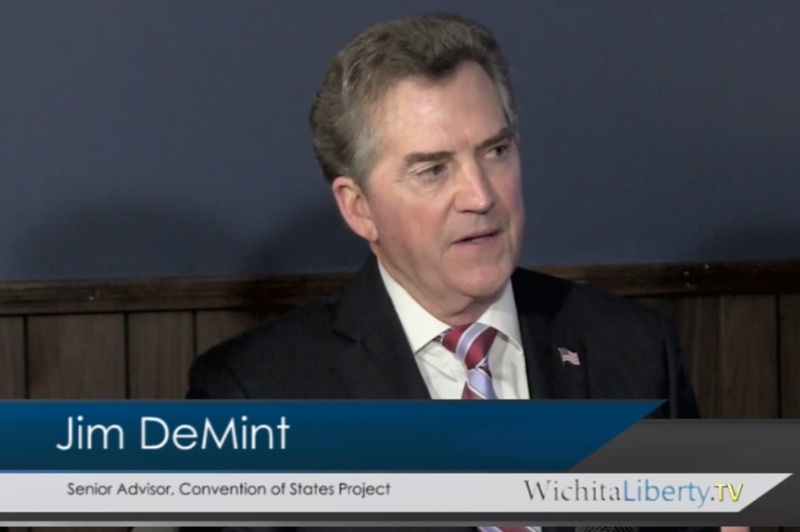 In this episode of WichitaLiberty.TV: Former United States Senator Jim DeMint joins Karl Peterjohn and Bob Weeks to talk about the Convention of States. David Schneider, regional director for Citizens for Self-Governance also appears. View below, or click here to view at YouTube. Episode 175, broadcast December 9, 2017.